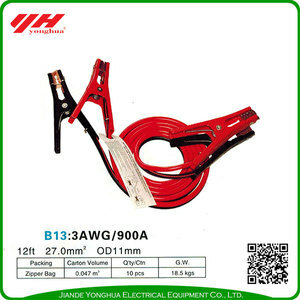 Yonghua will bring you the premium products and service you need today as well as the most exciting ideas for tomorrow. We have our own quality test team and validation report provided to clients before it's packed for shipment. If you check with alibaba, you will see that we have never got any complaint from our customers. 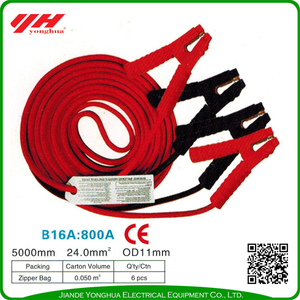 Jiande Weida Electrical Co., Ltd.
Jiande Huixing Cable Co., Ltd.
We have excellent service team that can ensure the best service on transportation, documentation etc. Q1: Are you a manufacturer or trading company9 A1: We have our own factory to produce this product. Q4 : What's your delivery time9 A4: Usually we produce within 25 days after receiving the payment. 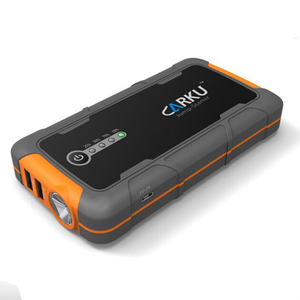 The Company is specialized in battery charger,battery terminal and battery tester for different kinds of car truck and motorcycle. The Company is also equipped with various kinds of stamping equipment Die Casting Equipment and advanced battery terminal and battery charger testing equipment . Q3. What is your sample policy9 A: We can supply the sample if we have ready parts in stock, but the customers have to pay the sample cost and the courier cost. 4. after sending, we will track the products for you once every two days, until you get the products. If you have any questions about the problem, contact with us, we will offer the solve way for you. : Yes, we are welcome , But please look out that we need charg about 50$ for custom fee. 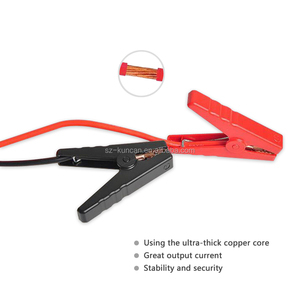 It adopts latest Li-Polymer battery, having super strong current to start vehicle instantaneously. Q4: How long will it take to charge phone full9 A4: One and half an hours. Q7: What is your warranty9 A7:18 months warranty,new free replacement for broken items in next order. 3.Q: How Long will take to fully charge9 A: Approx 3-4 hours with 9V/2A input, the charge time depending on capacity and voltage. Balance charging is making three cells in the battery pack charged with equivalent electricity through the regulation of PCB. 5. Q: How long does the storage of electricity remain9 A: 6-12 month, but we strongly suggest our customers it need to be full charged and dischage in every three months in stock. 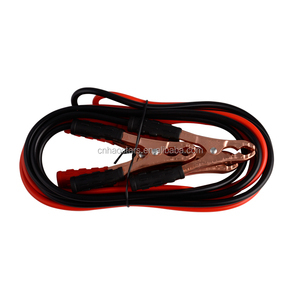 Alibaba.com offers 3,608 car jumping cables products. About 87% of these are emergency tools, 1% are wiring harness. 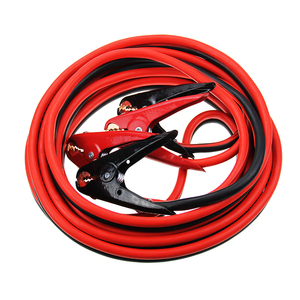 A wide variety of car jumping cables options are available to you, such as booster cable, emergency tool kit, and jump start. You can also choose from copper, aluminum. As well as from industrial, overhead, and underground. 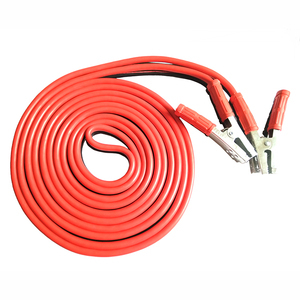 And whether car jumping cables is xlpe, rubber, or pvc. 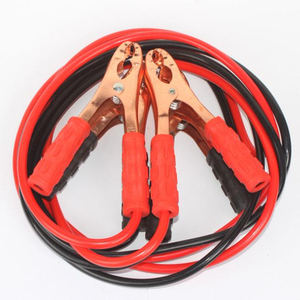 There are 3,608 car jumping cables suppliers, mainly located in Asia. 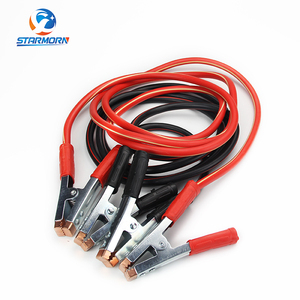 The top supplying countries are China (Mainland), Japan, and Taiwan, which supply 99%, 1%, and 1% of car jumping cables respectively. 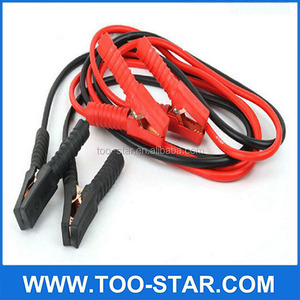 Car jumping cables products are most popular in North America, South America, and Central America. You can ensure product safety by selecting from certified suppliers, including 420 with ISO9001, 155 with Other, and 56 with ISO14001 certification.